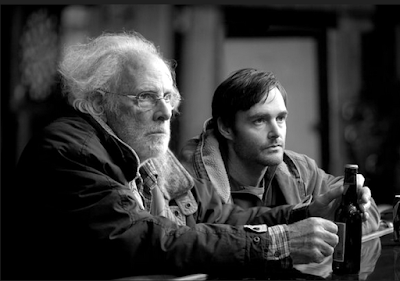 It takes a while to finally see any good in Bruce Dern's character in Nebraska, but there sure are a lot of laughs before we get to that point. Even though this little independent film had gotten rave reviews and Academy Award nominations, I wasn't really expecting that much from it. But it really is a lovable movie. And Will Forte really keeps his streak going alongside one of my favorite TV shows of the moment, The Last Man on Earth. His mother in Nebraska is an absolute hoot. She really tells it like it is, and Bob Odenkirk is also perfect for the role of the less-than-there brother. It lost the Academy Award to 12 Years a Slave in 2014, but was indeed probably the second-best flick behind the winner for that year. 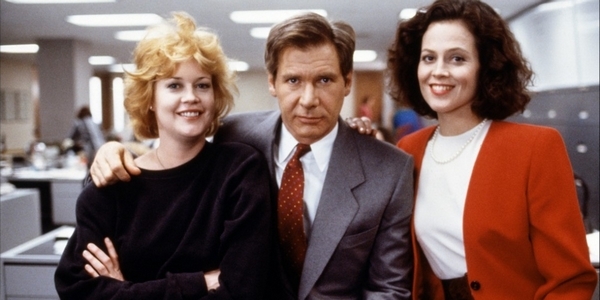 The wild 1980s hair of the many women in the office pool wasn't the only influential part of Working Girl. It's main service to society was how it helped influence the breaking of the glass ceiling on Wall Street and throughout the U.S.
Melanie Griffith's character Tess McGill uses her ingenuity to plan a wise deal for a major conglomerate to acquire a radio network, if only the smoothly evil Sigourney Weaver doesn't sabotage her first. Good-guy Harrison Ford helps her out, while Alec Baldwin doesn't help much. The views of New York City from the perspective of the Staten Island Ferry add to the power of the 1988 film, which was nominated for best picture, while Griffith was nominated for best actress, and Weaver and Joan Cusack for best supporting actress. Four years ago, I gave Horrible Bosses 3 out of 5 stars. If you liked that one enough, you'll like this one enough to at least watch it. Nothing great, but great comedic actors and a few laughs make it worthy enough. Jason Bateman and the gang decide to get out from under the world of bosses and build an empire of their own with the Shower Buddy. Umm, I don't think it was nominated for an Oscar.